Superbly located next to a wonderful village pub and restaurant, Mill Cottage is a stylish, 5-Star Gold, self-catering holiday cottage for two in Eglingham, one of Northumberland’s prettiest villages. Mill Cottage is a listed building in the heart of the beautiful village of Eglingham, approximately six miles from and midway between Alnwick and Wooler, with easy access to the Cheviot Hills, Northumberland National Park, and the Northumberland Heritage Coast, an Area of Outstanding Natural Beauty. The holiday cottage is cosy, stylishly furnished, very well equipped, and sits in lovely gardens, both formal and informal, with the Eglingham Burn to the rear. 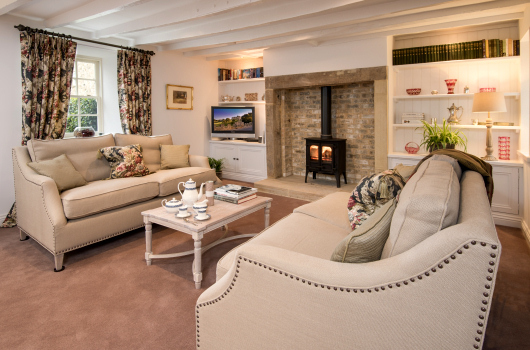 Mill Cottage makes a very special holiday cottage retreat for a couple. We look forward to welcoming you. 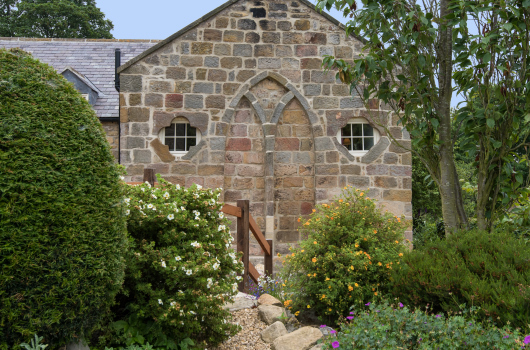 Mill Cottage is ideally located for a self-catering holiday in Northumberland. 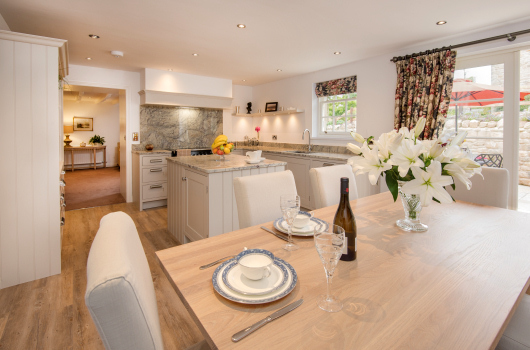 Situated in the charming village of Eglingham, our luxury holiday cottage is just a short stroll from a popular, highly-regarded pub and restaurant. With the Tankerville Arms on our doorstep, and with many walks and rides accessible directly from the village, the need to drive can be greatly minimised. 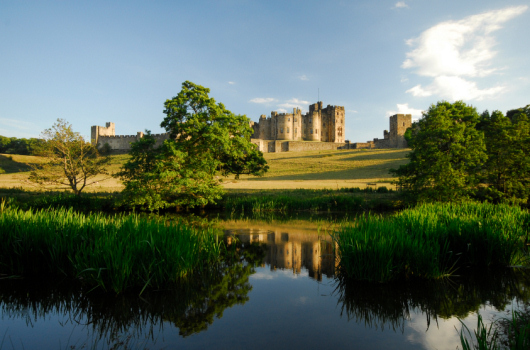 For those not wanting to venture too far from Eglingham, the nearby inland and coastal areas of Northumberland offer a multitude of choices for walking, sporting and sightseeing. Other Northumbrian towns and villages within easy striking distance include Alnmouth, Amble, Bamburgh, Beadnell, Belford, Berwick-upon-Tweed, Craster, Felton, Newton, Seahouses, Rothbury, Morpeth and Warkworth. For those willing to drive a bit farther, Kelso, Melrose, Jedburgh and St Boswells in the Scottish Borders offer interesting days out, and Newcastle-upon-Tyne and Gateshead offer big city attractions such as shopping, art galleries, museums and theatres. Hadrian's Wall is another popular destination.